The walking foot does far more than stitching in the ditch. Quilting with your walking foot can be a great way to finish your quilts. You stay in control of the quilting process, you can get excellent results, and the learning curve is short! In this class, you will learn creative ways to use your walking foot for quilting. 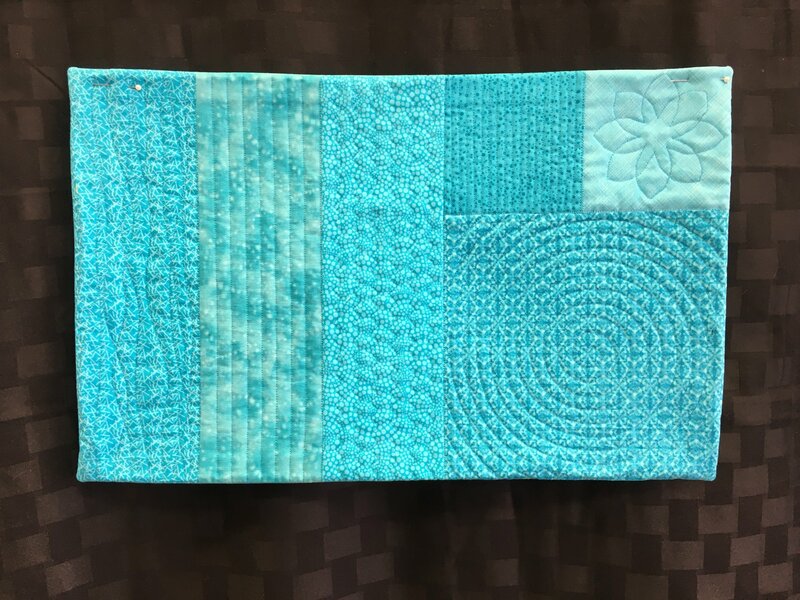 The class will include straight-line quilting, stitching in the ditch, how to stitch straight lines without marking your quilt, quilting with curved lines, spiral quilting, quilting with special stitches on your machine, and curved designs that are stitched using easy-to-make templates. Since the way that you prepare for quilting makes a difference in the results, the class also covers needles, thread, batting, marking and basting your quilt, and setting up your machine. You will need a sewing machine with a walking foot, dual feed or an even feed foot for this class.